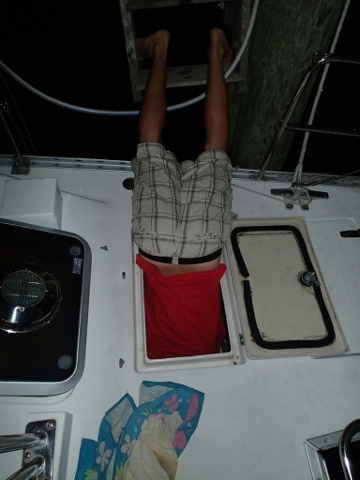 Ohh the joys of owning a boat with a bathroom. 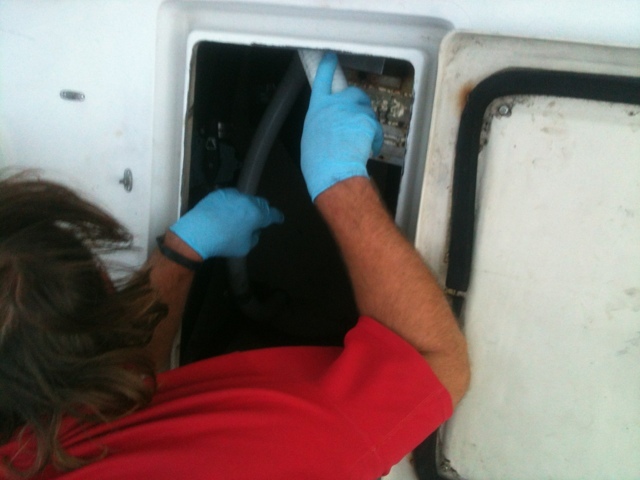 Our head (toilet) uses salt water to flush and we empty our holding tank when we are 3 or more miles off the coast. As we were crossing we could not get the pump to pump anything out. We tore apart the valves and fittings but all were clear. The problem was no air flow. The hose running from the head to the holding tank was plugged with salt build up and other stuff..... We had to pull out the old filled hose to replace it with a new one. We will just say that our bathroom has now been scrubbed top to bottom with bleach and we have a new hose run to the tank and everything is working perfectly. We pulled the boat back out of the water, cleaned everything, and packed up to leave in one afternoon. Preston is anxious to get back for Sunday dinner with the family and we worked our tails off getting the boat ready for storage. 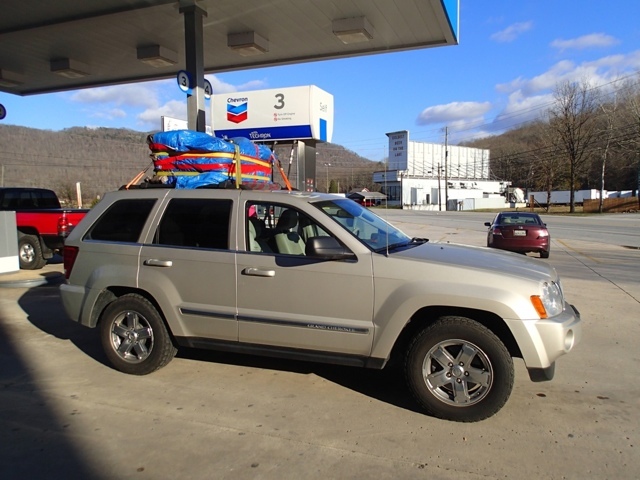 We are now on the road and have only thought of a few items we left on the boat that are needed, not that one more thing would fit in the jeep. We are sitting snuggly with luggage and look pretty ghetto with our tarp wrapped totes on top of the car. We have crossed through Florida, Georgia, Tennessee, Missouri, Illinois, Kansas, Colorado, and are currently in Wyoming. I am so sad that I cannot be there to give you a big hug and say Howdy! But just keep on driving all the way out here. Come see us too!! Wow! Did you make it home for Sunday dinner? Please let us know if you are available to catch-up. 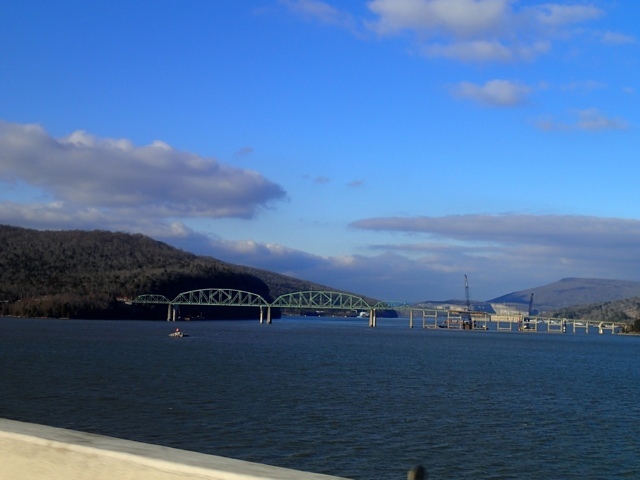 We would love to hear more about your adventures. Hope you arrived safely. Can't wait to see you guys!! Hope you made it home safe and sound! How do we get a hold of you? Do you have your cell phones back on? Or just through email?